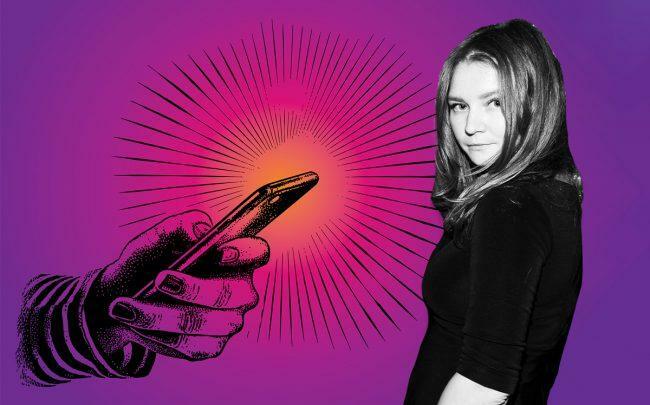 A banker who was tasked with vetting a loan application from “Soho grifter” Anna Sorokin sent her flirty text messages after her application was rejected. Dennis Onabajo, a married banker who previously worked for private equity firm Fortress, was overseeing the $22 million loan application which Sorokin planned to use to open an arts space at Aby Rosen’s 281 Park Avenue South, according to the New York Post. The texts emerged as part of Sorokin’s ongoing fraud trial in New York, where she is being tried for grand larceny, attempted grand larceny and theft of services. The 28-year-old socialite who posed as a German heiress by the name of Anna Delvey, initially convinced Onabajo she was worth 60 million euros. After Fortress declined the loan in February 2017, Onabajo sent Sorokin a total 158 texts. On one occasion, after Onabajo reportedly met with Sorokin in the lobby of her apartment building, 11 Howard Street, he texted her saying “Let me come upstairs and say a proper good-bye” — an offer that she declined. Her defense attorney, Todd Spodek, raised the texts in his opening statement last week, and then again during his questioning Monday of Onabajo’s previous Fortress manager, Spencer Garfield. Garfield was reportedly introduced to Sorokin through white-shoe law firm Gibson, Dunn & Crutcher, which was representing her on the application. Gibson Dunn is also seeking $250,000 in unpaid legal fees from Sorokin.